Although it might seem like a process reliant on luck, marketing isn't a mystery. As long as you focus on the most important elements of consumer outreach, you'll be able to create a successful strategy that exposes your product to the right people. "Certain elements are essential when creating a marketing strategy." Despite constantly shifting industry trends, marketing professionals will tell you that there are certain things you must make priorities when attempting to sell your brand. According to a ProOpinion Survey, 6 percent of professionals believe preparing a research backed strategy is the most important element of effective marketing, while 10 percent pointed to consistency as being the key to success. 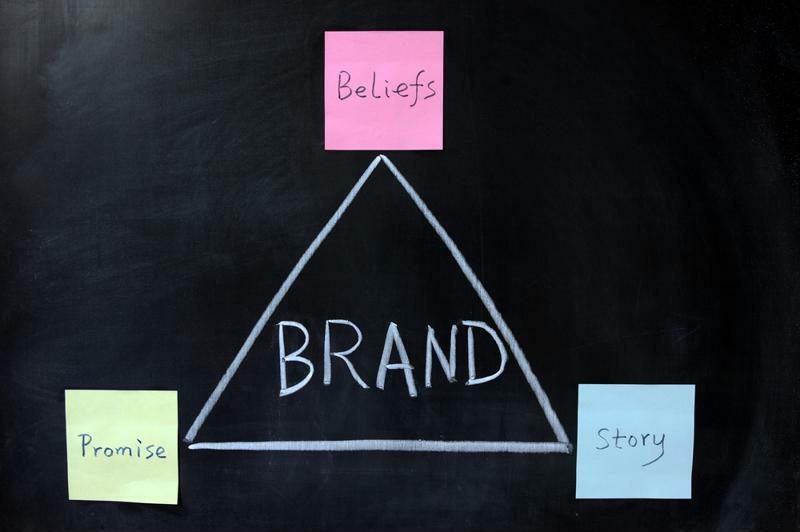 About 13 percent of respondents recommended branding your product appropriately, while 28 percent believe communicating a clear message is the most essential. Over 42 percent of professionals responded saying that targeting the right people for the product is the No.1 most critical action marketers must make when attempting to make sales. While marketing experts all have different opinions about what industry elements are the most important to a successful strategy, the truth is that all these pieces are crucial to the overall puzzle. Neglecting to prioritize any of these components will likely leave you with an incomplete - and unsuccessful - consumer outreach plan. Anyone can create a strategy based on intuition, personal experience and creative thinking. Successful brands, however, focus their energy on including plenty of their market research in their plans. Marketing mentor Ashleigh Ryan explained via the Huffington Post that failing to back your strategy with cold, hard facts will only end up costing your organization. It's essential to focus on industry trends, so start by looking at your competitors. What exactly are they doing? Is it working? If it is, think about how you can apply that strategy to your business plan. If it's not, be sure to think about what they're doing wrong. Marketing Donut suggested doing both quantitative and qualitative research to draft a thorough strategy. Quantitative research deals in actual numbers, and can be found by digging through questionnaires, reports and other surveys. Qualitative research expands upon these facts and figures by getting to the reasons and motivations people have for choosing certain products over others, and is largely gleaned via focus groups. For example, if you're trying to market cupcakes, look into surveys and reports done by other cupcake companies to see what flavor choices and packaging types appeal to consumers. Then, speak directly to cupcake customers to figure out just why these options appealed to them. Do plenty of market research before deciding on your advertising strategy. You buy your coffee from the same cafe every morning because you know what to expect when that first bit of fresh brewed java hits your lips. Imagine routinely gulping back your coffee one day only to be greeted with ice cold tomato juice - chances are, you wouldn't return to that coffee shop anymore. When people invest their money in a brand, they're looking for a promise of consistency. You're marketing strategy is reflective of your product, so if you're erratic in your brand, people will assume they can't trust what you're attempting to sell them. Ryan wrote in her Huffington Post article that once you choose a direction, it's important to stick with it. Consumers will notice if you abandon social media strategies, email lists, etc. While it might not look that bad to you, defunct or inconsistent branding plans tell potential customers that you're rather directionless. Branding can be tricky, as it's a delicate union of both creativity and strategy. Choosing the right colors, images and fonts to advertise your product can truly make or break your marketing plan, which is why Ryan suggested picking a graphic designer who's gained experience in your industry - don't trust the branding of your cupcakes to someone who's only worked with car companies. Entrepreneur magazine explained that brands are essentially reputations. Successful, appropriate branding lets you craft, shape and control how consumers view your product and your company as a whole. If your brand doesn't connect to your product, you won't gain a loyal following. Before you can successfully advertise your product, you need to be confident about what your message is. If you're not sure exactly what you're trying to say, people won't know what you're trying to sell, and will therefore remain loyal to your competitors. Ryan explained that before you decide on any type of marketing strategy, you need to figure out how your product will benefit your potential consumers. Think about what concerns or problems your desired customer base might be experiencing, and develop a clear and concise message about how your product will make their lives better and easier. It's not surprising that most respondents to the ProOpinion Survey cited "targeting the right people" as being the most important element of a successful marketing strategy. After all, your business is nothing without customers, so it's important that you're focusing on selling your product to the right ones. Ryan suggested making crafting a client profile a major part of your market research. Who buys the most cupcakes? Where do these people hang out in their spare time? Where do they receive news information? What social media sites are they most likely to use? All of this data will allow you to build an abstract profile of your main customer base. Having this as a reference will allow you to successfully redirect your strategy whenever you feel like your advertising plans may be heading slightly off track.